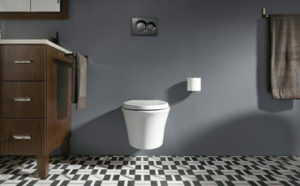 Corner toilets represent a convenient way to save some space in a small bathroom. This type of toilet allows you to turn even a closet into a bathroom – providing enough leg room so that you are comfortable while doing your business. 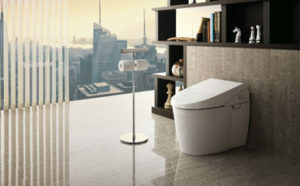 Still, finding the best corner toilet is no easy task, as they all come with unique features. Some toilets are self-cleaning and with a silent action while others shine LED lights in the night so that you can find your way. 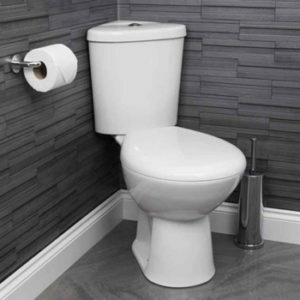 If you want to buy a new corner toilet for your bathroom but are not entirely certain which one is right for you, then this guide might provide some insight into that matter. 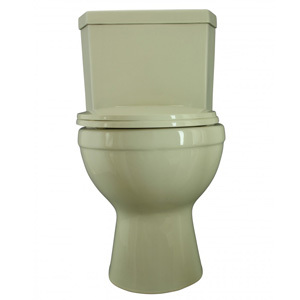 You will find tips on what to look for in a corner toilet, but you will also find reviews of popular products that have pleased their users. Dimensions : 32 x 19.2 x 31.5"
Dimensions : 34 x 19.2 x 31.5"
Dimensions : 30 x 17.2 x 29"
Dimensions : 33.8 x 19 x 32.2"
Dimensions : 57.5 x 35 x 23"
This corner toilet will barely take any space as it sits silently in a corner. Its dimensions are 30 x 17.2 x 29 inches, so the American Standard 270BD001 can fit in the most compact of bathrooms with ease. The round shape will also help in that matter since it makes the toilet even smaller. This way, it will fit even in a closet-sized bathroom. Plus, since it features an Ever Clean coating, this toilet is also bacteria resistant. Made from vitreous china material, this unit is highly durable – and will definitely last for years to come. Furthermore, the traditional white color helps it fit in every décor, regardless of the colors of your tiles. If you’re looking for increased comfort and have some extra space to spare, then you might want to give the American Standard 270AD001 a try. With an elongated shape and measuring 34 x 19.2 x 31.5 inches, it will provide great thigh support as you sit. Made from vitreous china as well, this model is also highly durable. It’s nearly two times heavier than the round seat – but at the same time, it is sturdier than the previous model. The Ever Clean surface will keep microbes away from the bowl, making it easily cleaned and mainly stick-free. 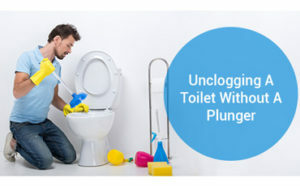 Most of the cleaning will be done by the flush itself. Unlike other similar models, the Renovator’s Supply 17668 is sharper on the edges and has an extra piece that molds around for more support. 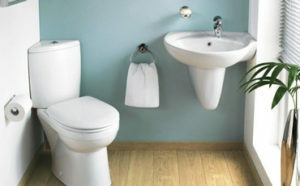 While this may increase its size a bit, it will also make it more comfortable to sit on – or to secure the toilet seat. The seat is just a bit under 17 inches, making it the perfect choice if you have a small stature. Being 13 inches long and having a rounded style, it will definitely fit in the smallest bathroom. This toilet seat features Reno-Gloss, a coating that will not only keep your corner toilet nice and shiny, but it will also prevent bacteria from adhering. As a result, this is a unit that is very easy to clean. 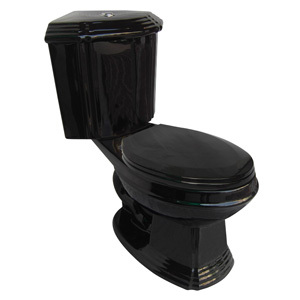 Featuring a unique black finish, this product is a great choice if you want an all-black bathroom. It certainly makes it look special compared to the standard white finish. Featuring a dual-flush system, this toilet will allow you to save water by choosing between a light flush and a full flush. 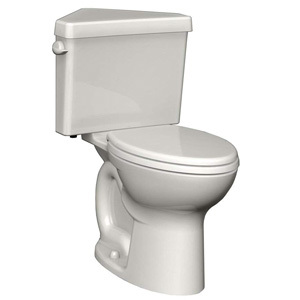 This way, you will no longer have to use long flushes for liquid waste and you can save water. If you don’t want a traditional white toilet and a black one is not really your thing either, then you might want to give this bone shade a try. It is a neutral yet warm color that will make any bathroom feel nice and cozy, particularly if it has a similar color pattern. Measuring 57.5 x 35 x 23 inches, it’s slightly bigger than your average compact toilet. At the same time, it offers a good deal of support and comfort. Furthermore, the elongated siphon action bowl also acts as a self-cleaning option, cleaning the waste away from your toilet. It also features the Ever Clean coating that most American Standard toilets have. If you want something a bit more compact, then the 17669 is a model that might interest you. 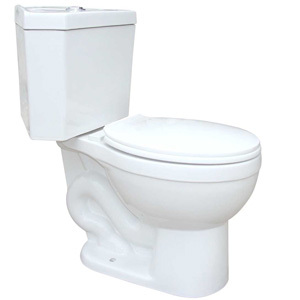 Made with a round shape, it is a 30 x 17.2 x 29-inch toilet that will fit even in the smallest of bathrooms. Featuring the Reno-Gloss coating that Renovator’s Supply got us accustomed to, this toilet rejects bacteria and stays clean for a longer time. Furthermore, the gloss will not fade anytime soon, which means that this corner toilet is resistant to scratches as well. The color is also very attractive and can fit into most cream-colored bathrooms. 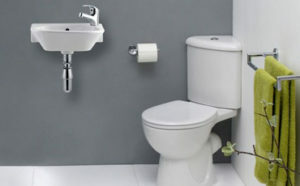 Finally, its dual-flush system helps you save water, since you may choose between a short flush and a long flush. 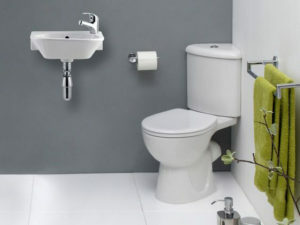 When looking for the best corner toilet for your bathroom, there are several key characteristics and benefits that you might want to keep in mind. Paying attention to each one will make the difference between a decent toilet and the perfect one. 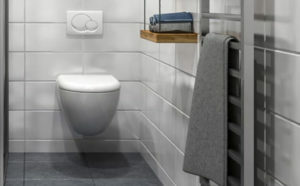 Not all corner toilets are the same when it comes to size – and this can be a crucial aspect if you have a particularly small restroom. Some of them were made to be compact and fit into a closet-sized bathroom while others were made to add style into a larger one. For this reason, it is important to know the dimensions of the toilet – so as to ensure that it will fit in the space that you have in mind. Even if you can’t see the toilet yourself before purchasing it, you can see these dimensions on the manufacturer’s or seller’s website. We live in a time when climate change has sent us into a crisis and water is already as scarce as it is. It takes a lot of energy to treat wastewater – which is not exactly good for the environment. 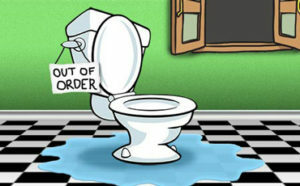 Plus, each flush leads to a “fluffier” water bill, which is why the less water you use, the more money you will save. 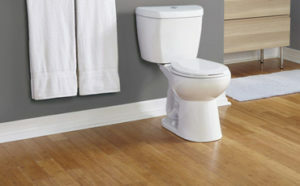 There are several toilet brands out there that focus on water-saving features. They use minimal water, but at the same time, they have features such as cyclone flushing or increased water pressure. You may also go for dual-flushing. This option allows you to select the amount of water for liquid or solid matter. For example, if urine is the only waste you left in the toilet, then you won’t need to flush all the way. You can do with just a semi-flush. The height of a corner toilet seat can make a great difference when it comes to comfort. For example, if you have a short stature or have kids around, then a high-seat toilet is the last thing you need. However, if you and the rest of the members living in your house are taller, then a medium to high-seated corner toilet should definitely be considered. 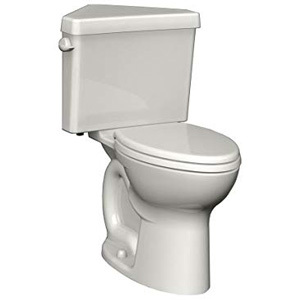 If you’re buying a corner toilet, you’re getting it for the long run. If you properly maintain that toilet, the chances are that you won’t need to change it for at least 10 years or so. In this respect, the material from which the toilet is made will have a great impact on its durability. For example, corner toilets that are made from vitreous china will definitely allow you to reach that “goal” since the base material is very durable. 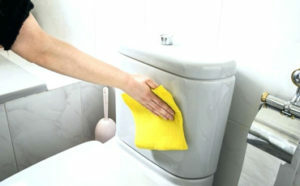 Aside from the material of the toilet, you should look for special coating surfaces. Depending on the brand, a toilet may have non-stick formulas that will not only prevent mildew from forming, but they will also prevent any waste from sticking to the surface. These corner toilets are advertised as “self-cleaning,” since all they need is a flush. Generally, these are the easiest to maintain. A corner toilet will attract most of the attention when someone enters your bathroom – so make sure that you choose an appropriate color that fits your bathroom style. Black, white, bone – there is a variety of colors to choose from. 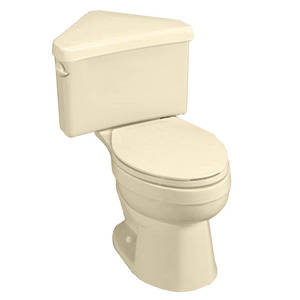 Some manufacturers can even customize your toilet in any color you want. Generally, the smaller the toilet, the less powerful the flush will be. 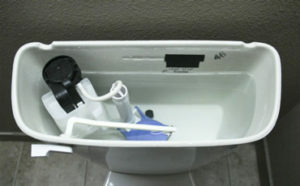 Still, there are some unique corner toilets with advanced flushing systems that can successfully clean a toilet – even when using little water. It all depends on the pressure power of the flushing system. Corner toilets are not that common, so you might have some questions related to them. We’re here to help so, below, you will find the answers to some questions that have been frequently asked. Q: Can I only place the corner toilet in the actual corner, or can I place it in the center of a wall too? A: While corner toilets were made to fit specifically in the corners, you can also place it somewhere else. The only condition is that you have a water supply connection and the main drain. However, you may want to add a decorative box around the tank so that it does not look odd. 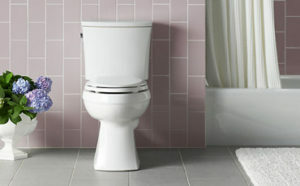 Q: Can I change from a traditional toilet to a cornet toilet without having to move the drain? 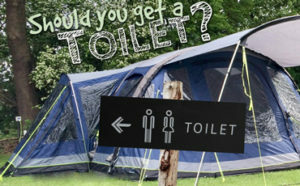 A: This is a common issue when it comes to cornet toilets – one that you really can’t find a way around. 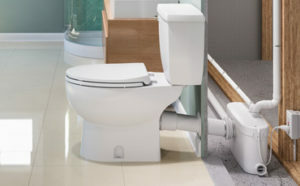 It is very likely that you will have to move the drain, by at least a few inches, to fully accommodate the new toilet. Depending on the size of your bathroom, it may take a little extra effort. $$$$$ 34 x 19.2 x 31.5"
Corner toilets may not be as popular as traditional units, but they can certainly be very useful if your bathroom is small. Since they are installed diagonally, you will not have to sit in a cramped position; you can relax even in a closet-sized bathroom. Every special feature that you can find on a regular toilet can also be present in a corner-sized one. You just have to take a closer look at the complete list of features. 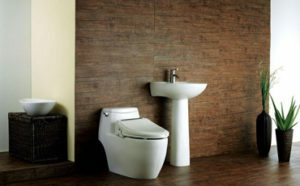 We have covered a fair range of toilets – all of which can appeal to your comfort and aesthetic taste. Hopefully, our guide managed to help you make your choice. According to users, these are the best corner toilets, and will definitely be worth the money.